When REGANCREST S CHASSITY EX-92-4YR-USA DOM caught the eye of Scott Courtney and he put her on his wish list that`s when this timely story began. As fate would have it, he later was working a sale where she was selling and made the first timely decision to partner on her purchase. During his ownership he reports that Chassity was not only was a great animal to work with but she flushed well and continued to attract significant attention and new owners Ernie Kueffner and David Dyment. More flushes followed to such bulls as Million, Alexander, Planet, Sanchez and Atwood. By the time the International Intrigue Sale came along in August 2009 the foundation for success had been laid. The Chassity package sold in 2009 for 1.5 million dollars and the timing was exactly right for Chassity to make money and make history. Her sale price was capturing the headlines the same year that genomics was revolutionizing the breeding scene. 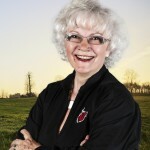 Genomics and Chassity became synonymous with success for Chassity`s current owners The Chassity Syndicate LLC of Illinois. Like many great cows Chassity pulls it all together. Jeff Butler, a member of the Chassity Syndicate, describes her in winning terms,” She’s a big cow standing 63 inches, with a wide rump, hard top, a wide chest, and walks up hill. And of course she has a beautiful udder. “This comes naturally when you consider that Chassity is a sixth generation Excellent from the renowned Barbie family. Looking back there is her Granddam Barbie EX92. Then her dam Champion Cinderella EX92. Then Chassity herself EX92. Chassity has a full sister Celebrity VG89, owned in Canada, who is 2* Brood Cow and a bull dam. Chassity was VG 88 as a two year old and then went EX 92. She was the number 4 Shottle in the United States and #13 cow with CTPI of 2317. She had another headlining year in 2011, when she tied with Ralma Christmas Fudge for Global Cow of the Year. She puts up outstanding numbers with 4-00 (305d) 17,513 4.5F 3.2P. Chassity’s list of offspring reads like a healthy bank statement. 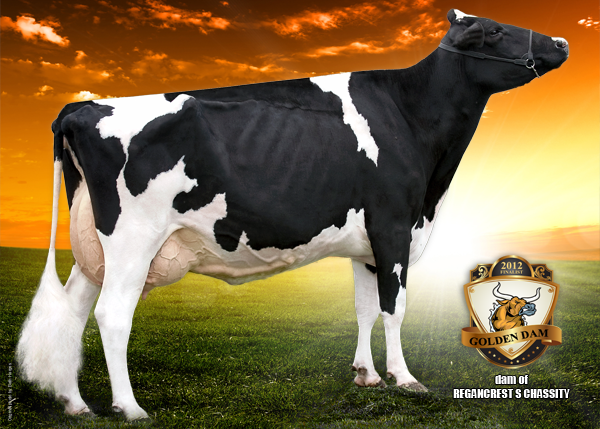 From Goldwyn, she produced Gold Chip and Goldwyn Cash. Cash went on to make Cashmoney, Cashcoin, Cash-O, and Casher! With these offspring, Chassity is definitely in the money and, while she`s unforgettable for the exceptional 1.5 million dollar sale price at Intrigue in Aug. 2009, her financial story didn`t stop there. 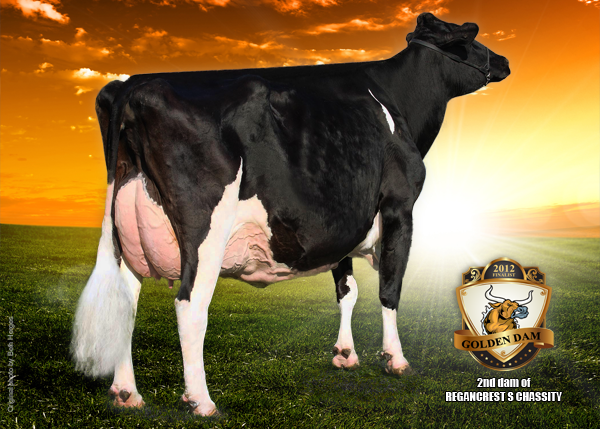 In the Destination Vegas Sale, in December of the same year, her daughter Chassity Goldwyn Cash was the world’s top-selling individual, being purchased for $205,000. At the World Classic sale in Madison a Planet daughter, MS Courtlane UR-S Candy VG85, sold to Regancrest. Earlier in the summer a Domain granddaughter of Chassity, sold for a high price through the Skyline Holstein sale in Germany. She sold to Koepon. Chassity’s name continues to be a guaranteed bank machine at sales worldwide. Chassity has numerous sons in A.I. In September her 39 sons are sired by 14 different sires. MR Chassity Gold Chip (Goldwyn X Chassity) was the No. 2 genomic sire in the US in 2010. His GTPI was 2414 and his PTAT was +4.47. There are full brothers Calvin (Select Sires) and Charlie (Semex). MR Chassity Coach with 2312 GTPI and 3.00 PTAT is the highest of Chassity’s Planet sons. Another top son, MR Chassity Carson (Observer x Chassity) has a GTPI +2225 (08/12). 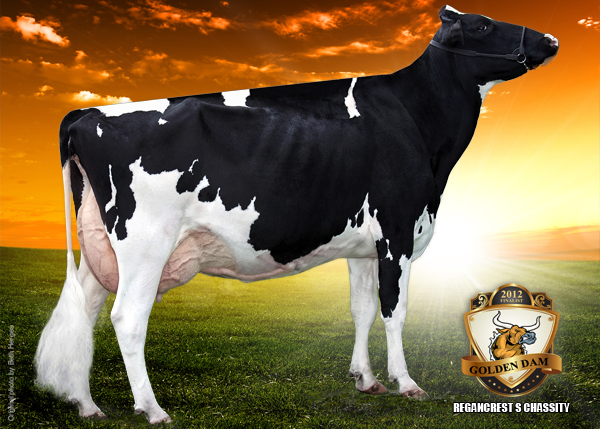 In December 2011, MR Chassity GW Casino (Goldwyn X Chassity) GLPI was +2744 and his CONF +14. Colt 45 (Colt P-Red X Chassity) is the result of demand for red and polled, so they got a red carrier polled. Colt’s GTPI is +2364 Dec of 2011. His PTAT is +3.78 and his PL is +5.1. Do you think Chassity deserves to win our 2012 Golden Dam Contest? Let us know. Your vote counts.